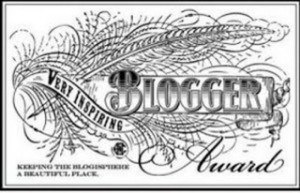 I’ve had all of these before, but I don’t care, it just gives me chance to highlight some fabulous bloggers when I pass it on! 1. I spell my name the way I do because in the 1980’s it seemed trendy lol. The reason I’ve kept it like that is because The Hubster has it tattooed on his arm lol. 3. I have an NVQ In Retail. 4. I didn’t learn to drive until I was 26. 5. I don’t like Coke, I drink Pepsi. 6. I own a lovely bike, I just can’t ride it. 7. My favourite animal (non pets) is the fox. I can’t drive due to my poor vision. No peripheral vision. People can sneak up on me easily if I don’t hear them. I wish I could drive. Oh, that’s a shame honey 😦 Is there nothing they can do? Have fun checking them out. Congratulations on all your awards! Thank you for nominating me 🙂 I was wondering why your name was spelt that way… now I have the answer! Ha ha ha, it is! Thanks so much for the nomination, Vikki! 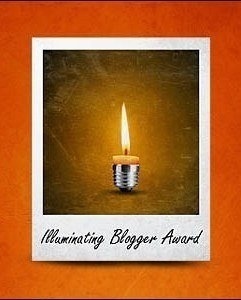 I just LOVE the nomination part so I can give shout outs! Thank you so much for thinking of me! I appreciate it!